Cook meatballs according to package. Place meatballs in crock pot and cover with Sven’s BBQ Sauce. Allow meat to reach room temperature. Season ribs with your favorite seasoning (opt). Place ribs in crock pot and pour over 1 jar of Sven’s BBQ Sauce. Set crock pot for 8-10 hours. 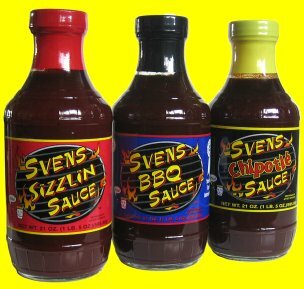 Serve ribs with extra Sven’s for dipping.